Comfort, energy savings, and air quality all go hand and hand. Without healthy air quality, you’ll find it difficult to feel completely comfortable. Your comfort is compromised when temperature controlled air is leaking out and polluted air is finding a way in. At Custom Climate Concepts, we take a whole-home approach to identifying any problems or concerns that impact the enjoyment, efficiency, and safety of your home environment. Through a broad range of customized services, our Air Quality Specialists deliver proven solutions to even the toughest challenges. Indoor air pollution has been listed as one of the top five risks to public health by the EPA. A home environment that is free from fumes, airborne allergens, and bacteria is essential to your health. Through the installation of state-of-the-art, straightforward, and cost-effective products, Custom Climate Concepts answers your specific circumstances with results that let you breathe easier. By accurately diagnosing the conditions within the home, we pinpoint energy waste, identify air quality issues, and implement a customized plan for improvement. 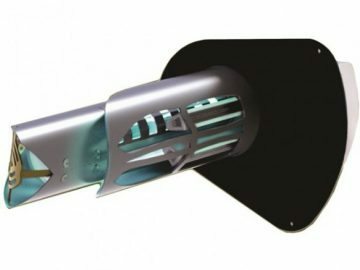 Custom Climate Concepts has proven repeatedly that in duct purification is a key element to clean air in your home. UV light technology protects against 3 classes of pollutants, Particulates, Microbial and Gases. We carry several product lines to protect your whole house. Depending on the size and style of your home we can recommend the best UV system for your situation.